The McCune Art and Books Collection Foundation, Inc.(MABC) is a non-profit 501c3 corporation that was founded in 2006. The purpose of MABC is to help broaden and enrich the McCune Collection and its events through the acceptance of cash and other items of value to support the McCune. Its non-profit status makes it possible for MABC to receive donations that are tax deductible as allowed by law. MABC gratefully accepts cash or stock certificates to help support the McCune. Donations of rare books and other material that enhances the existing McCune Collection are always welcome. The McCune is pleased to consult with anyone interested in making such a donation. The bylaws require the McCune Collection to only accept unrestricted gifts. Anyone making donations of cash, marketable securities, collectible materials (which are determined to enhance the McCune), or items of specific use to the McCune, will receive a tax deductible receipt acknowledging the gift. Please help support the McCune Collection by clicking here to donate. McCune Art and Books Collection Foundation, Inc.
www.McCuneCollection.org is the exclusive property of the McCune Art & Books Collection Foundation. 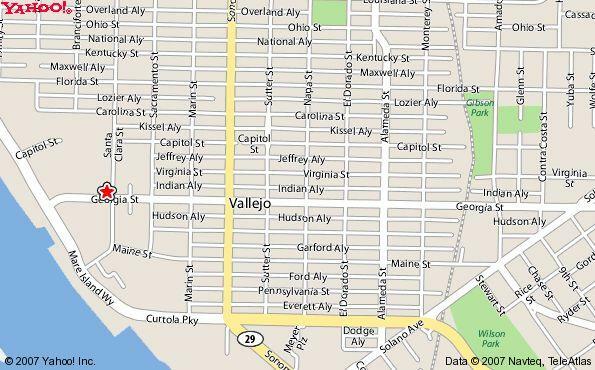 There are no claims expressed or implied that this is an official site of the City of Vallejo. We would like to thank ChameleonJohn.com for supporting The McCune Collection. Their site has online coupons and promo codes to help you save money while shopping. Volunteers with The McCune have the opportunity to gain firsthand familiarity with the historic books, presses, binding tools and other artifacts in the McCune Collection while providing valuable visitor services and helping to expand our community engagement. Applications are accepted at all times. We keep all applications on our waiting list, and will contact applicants with the required skills, interests, and availability for interviews as volunteer positions become available. Qualified candidates should possess some of the following: an appreciation for the book arts; a versatile attitude for dealing effectively with the public; a basic proficiency with computers; and a high regard for being responsible and reliable. Orientation and training as needed is provided in many areas including: event coordination; visitor/donor contact administration; facilities management; Collection maintenance; and publicity assistance, among others. GoodSearch is a search engine which donates 50-percent of its revenue to the charities and schools designated by its users. Thus, every time you search the Internet using the Goodsearch search engine, The McCune earns donations for the preservation, maintenance, and expansion of the McCune Collection. It's the easiest way to help us out, and doesn't cost you a single penny! AmazonSmile (smile.amazon.com) is a simple automatic way for you to support The McCune Collection every time you shop, at no cost to you. You’ll find the same Amazon shopping experience, with the added bonus of Amazon donating a portion of the purchase price to the McCune Foundation. On your first visit to AmazonSmile, you will need to select "The McCune Art And Books Collection Foundation" as your charity to receive donations. After that every eligible purchase you make at smile.amazon.com will result in a donation! You shop, Tobi donates! Tobi will donate 1% of the price of your eligible purchases to the McCune Collection when selected as your favorite charity - 1% of all of your purchases will go directly to a cause you care about. It's that easy! Upon visiting Tobi (http://www.tobi.com/tobi_cares/donation_program) create an account and then select the "McCune Art and Book Collection Foundation" as your charity and 1% of the purchase price - amount paid for the item excluding shipping and handling or taxes - is automatically donated, at no cost to you. All products and purchases are eligible for donations, how awesome is that? The McCune Room is OPEN to the public on the FIRST & THIRD Tuesday of each month, from 2:00 PM – 4:00 PM, and on every Saturday, from NOON - 2:00 PM. Tours may be arranged by appointment. To do so, please contact us by phone at (707) 674-4082 or by e-mail at mccunecollection@gmail.com. The McCune Room is located on the lower level of The John F. Kennedy Library. The McCune uses the little money it receives to protect and enhance its collection. We are very careful about what we purchase. There are items we would like but don't want to purchase new if it can be avoided. With that in mind, we are looking for good-hearted people, who have perfectly good items they no longer need, to donate them to the McCune. We feel that reusing articles which are still in good condition will save the McCune significant amounts of money that can be better spent on the collection. Donating these items can free up space in your house, give you the needed reason to buy a newer, better model, allow you a tax deduction and give you the satisfaction that you are helping the McCune. If you have any of the items to donate, please contact the McCune Art and Books Foundation.